Vladimir Maistrenko was born in Europe in 1974 with a passion for design inherited from his Italian grandfather. At the age of 15 years young Vladimir was already decorating his family house with a great success and was already receiving excellent comments and feedback from his family and neighbors. In 1993 Vladimir Maistrenko, student of the Kharkov State University, started his business with interior decoration and design of traditional chandeliers made for the Eastern European market. After a great success of hard work for many years Vladimir decided to extend his business in the U.S. and moved to the State of Florida in 2008. 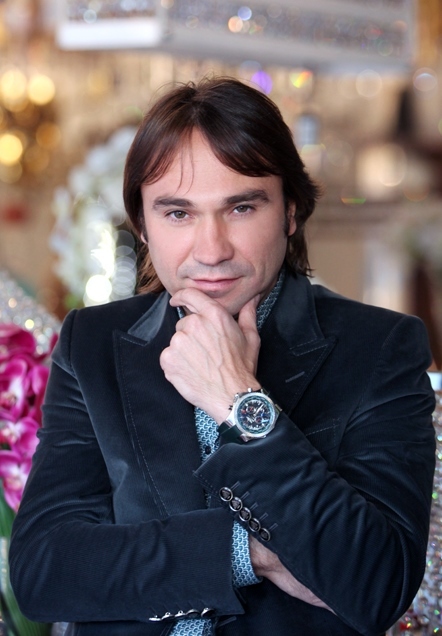 Now, Vladimir Maistrenko, owner of Elite Light and Living LLC / Elite Home, owns three Showrooms in prime locations in Miami and one in the heart of Manhattan (second Showroom in Manhattan is coming soon). Elite Home offers excellent quality and service in interior design and turnkey projects as well as selling in its Showrooms high end Italian products (furniture, lighting, accessories). Elite Home will save your time, your money and will guarantee that you will be happy with the result. Vladimir Maistrenko with his team need only 10 meetings with a client (around 2-3 hours each) in the process of design, renovation and selection of furniture and decor in order to seal the deal. Elite Light and Living LLC works directly with all high end manufacturers in Europe and North America and its customers always get factory prices. No designer fees! We are proud to serve our customers and to give the best service along with the best prices.